We work in partnership both within and outside the National Park Service. 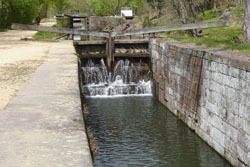 Partners within the National Park Service have included the Archeology Program, Historic American Buildings Survey and Historic American Engineering Record, the National Register of Historic Places, Technical Preservation Services, the Submerged Resources Center, as well as NPS Regional Offices and Parks. Outside NPS, we have worked with organizations such as the U.S. Coast Guard, the Naval History and Heritage Command, the National Oceanic and Atmospheric Administration, the Advisory Council on Historic Preservation, State Historic Preservation Offices, the National Trust for Historic Preservation, and the maritime preservation community in general. During the 1980s, Congress recognized that preservation planning and funding had generally neglected historic maritime properties and archaeological sites. This resulted in a Congressional request to the National Park Service to "conduct a survey of historic maritime resources, recommend standards and priorities for the preservation of those resources; and recommend appropriate Federal and private sector roles in addressing those priorities" (Congressional Record, Oct. 10, 1984, p. 11922). In response to this request, the NPS created a special office to survey, evaluate, and recommend preservation methods for historic maritime resources. This office was established in 1987 as the National Maritime Initiative within the NPS History Division. In 1994, the Initiative's role in maritime preservation expanded with the passage of the National Maritime Heritage Act (Public Law 103-451). 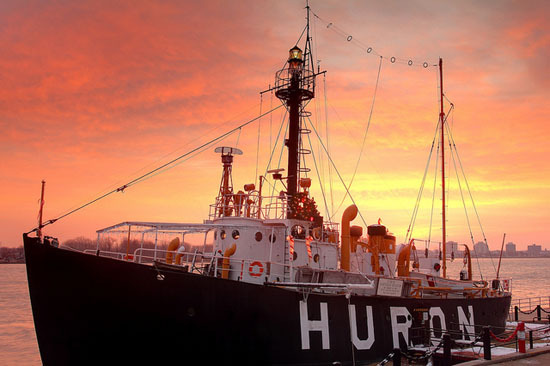 Under this legislation the Initiative was named as one of several partners responsible for coordinating a national maritime heritage policy and administering a grants program supporting maritime heritage preservation and education projects. More recently, we have been requested to participate in the national historic light station program authorized under the National Historic Lighthouse Preservation Act (Public Law 106-355).We have also taken on a more active role in educating the public about maritime history and preservation through our web site, publications, and technical assistance. Today, we are called the Maritime Heritage Program and are part of the NPS Park History Program within the directorate of Cultural Resources, Partnerships, and Science. We have published two of the inventories, the 1990 Inventory of Large Preserved Historic Vessels and the 1994 Inventory of Historic Light Stations. Portions of the ship and lighthouse inventories are currently available through our webpages. Information about small craft is available via the Mystic Seaport website. As funds are available, the Maritime Heritage Program provides technical assistance in preservation planning for historic maritime properties and underwater archaeological resources. These activities include assessment of impacts from redevelopment, construction, demolition, or restoration; mitigation of adverse effects; review of archeological research designs; review of restoration plans. The Initiative also participates in policy formulation and review regarding Federal maritime preservation planning efforts. Through various partnership projects we have also developed a number of publications addressing maritime preservation standards and guidelines. We can provide advice for nominating maritime resources to the National Register of Historic Places. Bulletins for nominating historic vessels and shipwrecks, and aids to navigation to the Register are available to assist in this task. We can provide guidance on the National Historic Landmark designation process and sample nominations. A number of National Historic Landmark theme studies for ships and lighthouses are available on our website. The lightship Huron in Port Huron, MI. Photo by Jason Steel Photography. Permission for NPS use granted via entry in the 2012 National Historic Landmark Photo Contest. Please contact Kelly Spradley-Kurowski about website questions or updates.